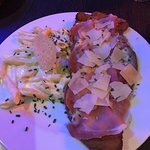 Nice Italian restaurant at 5 minutes walk from the Ibis hotel. Very divers menu and a friendly staff. Good food/value for money. Nice surprise to find such a restaurant on a industrial zone. I was in the area for work and thought I’d try the restaurant. 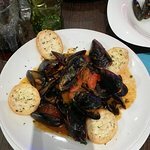 I was very happy with my dinning experience, the staff were friendly and helpful (especially as I don’t speak French), the food was excellent (I opted for Pizza) and the environment was very pleasant. 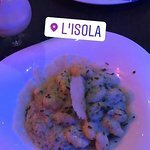 I would definitely return to L’Isola! With 3 colleagues I had a pizza here during some days in Lyon for work. Surely not the best pizza but considering we are not in Italy is good. 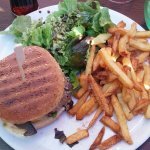 well, and to think I was about to go to a very popular burguer house a few meters ahead!! Thank god I changed my mind. 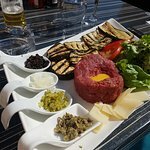 concerning the food we had the Pizza 4 fromages and the Rustique, both with great taste and fresh ingredients!! 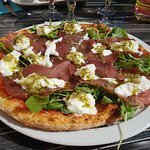 Today,in so many places you can eat pizza.., but " l'Isola" has more to offer than pizza : a friendly service with the landlord greeting every customer with a wide smile and a few words : as soon as you come in, you feel part of the place. My favourites apart from pizza ? The salads, and every night the chef a dish he has cooked just for one night : lots of excellent surprises ! 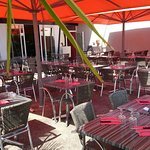 The restaurant is not far from the Lyon to Switzerland motorway but on warm days you can eat in the open ! Open mondays to Fridays lunch and dinner. 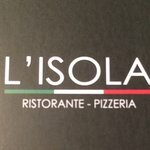 Been to L'Isola? Share your experiences!